A positive public opinion of nuclear energy is essential for its success. Nevertheless, in a number of countries it has proved difficult to convince the public of the benefits of nuclear power over the 70 year history of the nuclear industry. One country that has been particularly affected by a strong anti-nuclear sentiment is Denmark, who in 1985 decreed to leave nuclear power out of its energy mix entirely. However, could all that be changing in the face of a rational approach to dealing with global warming? The argument in 1985 focused on weapons proliferation, waste management, and safety concerns, the latter of which was strongly reinforced the following year with news of the disastrous Chernobyl accident. Combined with a fierce anti-nuclear movement united under the now-legendary slogan “Nuclear Power? 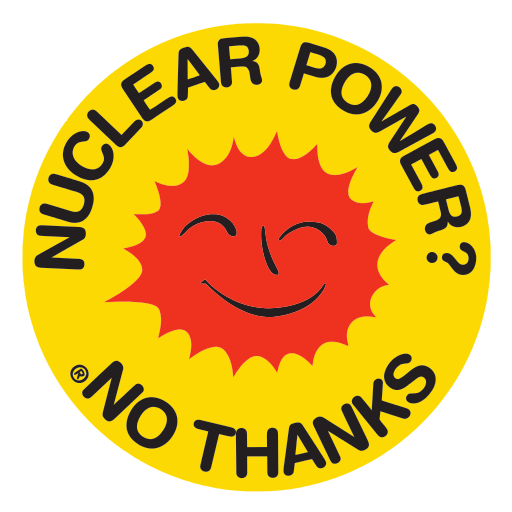 No Thanks”, a collective perception of nuclear power as both dangerous and inherently dirty was imprinted on the consciousness of the Danish population, who opted instead for an ambitious commitment to wind power. Today, 30 years later, that all seems to be changing. The recent emergence and international recognition of “Seaborg Technologies” and “Copenhagen Atomics”  – two start-up companies that both aim at designing and developing molten salt reactors – has prompted a public debate on the validity of the anti-nuclear perceptions that were formed on basis of outdated technology. With considerable improvements in all the areas of concern in the 80’s, these modern reactor designs offer an attractive, low-carbon energy source devoid of the intermittency issues that plague wind and solar power. Despite tantalising features, research funding for developing these reactor concepts has been hard to come by and government funding applications have been turned down for addressing technologies of no political interest, in accordance with the 1985 law . This disparity between the original intent of the Danish ban on nuclear power and the virtues of modern nuclear technologies has led some Danes to thinking that maybe the time has come to reconsider. The manifestations of these ideas have been inspirational to follow. Not only do Danish newspapers publish a steady flow of articles and opinion pieces on advanced nuclear power [e.g. 3, 4, 5, 6], but not long ago viewers of the Danish Broadcasting Corporation were offered a one-hour, prime-time special feature show discussing the case for nuclear research in Denmark, followed by the pro-nuclear documentary Pandora’s Promise. In May, the Danish parliament entertained a proposal from the central-rights to open up funding for research into advanced nuclear concepts. Their arguments touted a technology-agnostic approach for combating global warming, based on the scientific method rather than irrational fears and prejudice. 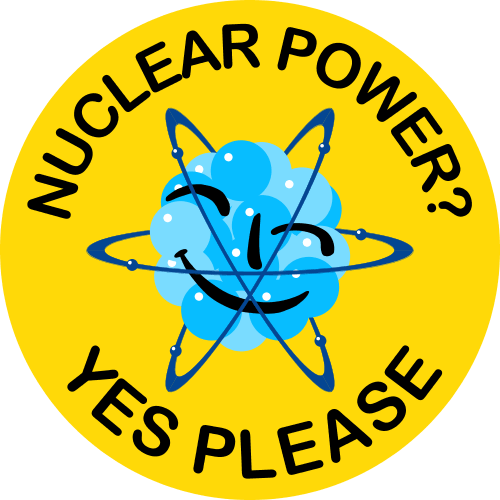 Although the proposal was comfortably rejected at the time , this did little to hinder the movement, and the latest instalment of pro-nuclear sentiments in Danish society is by far the strongest signal that something is brewing. As a new government entered into office recently, a single sentence has lured itself into their statement of intent. A sentence full of promise, it simply reads “The government will remove potential barriers to research on thorium-based technologies.”  What exactly this brief formulation entails will remain to be seen, but it certainly bodes well for Danish research groups and start-ups that aspire to explore the exciting prospects of molten salt reactors. There are a number of factors that have caused the political climate in Denmark to warm to advanced, thorium-based nuclear reactors. The strong commitment to wind power has put Denmark on the top of the charts for residential electricity prices in Europe , whilst polluting coal continues to supply the greatest fraction of energy to cover base-load and heating needs . Additionally, Denmark already receives sizeable nuclear power imports from neighbouring Sweden , which boasts very low carbon emissions from their electricity sector due to a powerful combination of hydroelectric and nuclear power. More importantly, there appears to be a general trend in which the environmental benefits of nuclear power are starting to be more widely recognised. Evidence suggesting this includes the latest IPCC report from 2014 , in which the role of nuclear power in reaching emission targets is acknowledged, and the recent Swiss referendum that dismissed an accelerated nuclear phase-out . In any case, the story of Denmark seems to represent a cautiously optimistic tale of a country slowly changing its perception of an age-old enemy in the face of scientific proof and technological development. One can only hope that it signifies the humble beginnings of a time when fears and prejudice are replaced by scientifically informed pragmatism for ensuring a prosperous and sustainable future world. For a disaster, even Chernobyl’s statistics are remarkably low. Considering the people NOT killed by alternative fossil fuel production of its previous lifetime’s electrical energy, even the reactor that melted down comes out on the positive side. It was not so much a disaster as a frightful blunder by orders from higher up the Soviet command chain, in direct conflict with known operating safety requirements. 28 people died at the reactor, quite heroically as a matter of fact. They were fixing things. The Soviet command in the Ukraine kept secret about the meltdown, and as a result potassium iodide tablets, which would have sharply reduced intake of radioactive iodine, were not administered. There were thousands of thyroid cancers, most of which were cured. About 30 were fatal. See the UNSCEAR figures for the estimates of subsequent radioactive damage — indistinguishable from the rate by natural causes. Neither TMI 2 nor Fukushima-Daiichi has caused any radiation fatalities. The problem is that serious world-wide implementation of nuclear could — and d should– put the entire powerful fossil fuel industry out of business, they know it, they know that “renewables” are no threat, and they have considerable financial power in the news and entertainment media. My fellow peaceniks detest nuclear weapons. Too many of them refuse to know that nobody capable of designing a nuclear bomb would attempt the nearly impossible task of starting with used nuclear fuel. Fat Man was Fat because the design even to overcome the very small amount of Pu-240 that very short exposures at Chicago Pile and the Hanford will pre-detonate a bomb unless the critical mass is assembled very fast from many sub-critical pieces. So very accurately shaped chemical explosive charges must be fired with very crucial simultaneity to bring the pieces together. Hanford used runs of about three weeks. Typical nuclear power plants run each furl rod for about three years. Gratulerar de nya Danska förståndet för kärnkraft. Det skulle ni gjort långt tidigare. Ni har ju fått känna på vindkraftens förödande inverkan på människor, minkar och grannar till vindkraftindustrier. Fortsätt tänka på förnybar el från kärnkraften med det lägsta CO2 utsläppet 15 gånger lägre än vindkraft om utbränt billigt kärnbränsle köps och används i gen lV. Tyskarna säljer säkert billigt.